Team Building Starts with You. 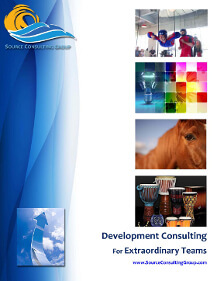 We listen to your team building needs, business goals and your perspective on success. One size does not fit all. One location does not fit all. One team building workshop does not fit all. We spend extensive time simply listening. It’s obvious you know your organization and your needs better than we do – we want to know how to serve you. Team building is about your team, and where they can develop the skills while working together toward your success… and theirs. We’re ready to help – we can take all guesswork out with coordination of every element of your training. We understand the different needs of a business, whether right here in Austin, Texas, the San Francisco Bay Area, in the Seattle area or even in Phoenix, Arizona. Each client, sector and mission is unique, and that’s where we shine. We understand “unique” and help you capitalize on that. Our commitment is creative and meaningful team building packed with immediate relevance. Our pre-program consultations ensure a customized team development training solution that brings out the change you want, long after the event has ended or the workshop has closed. Your total business success is our single focus, put us to work for your vision. We will support you, inspire your people, and transform your workplace. That’s our passion. Solomon has the unique gift of training important skill sets in a way that is kinesthetic, easy to understand, engaging, and entertaining. He truly embodies the principles on which he trains; he’s able to bring dialogue and conversation from a place of passion and authenticity that is deeply moving and inspiring. The training he has provided my employees and myself has greatly enhanced our culture, brought us tools that strengthen team and communication, significantly enhanced our ability to execute, and has made a profound difference in our lives, both inside and outside of the office.